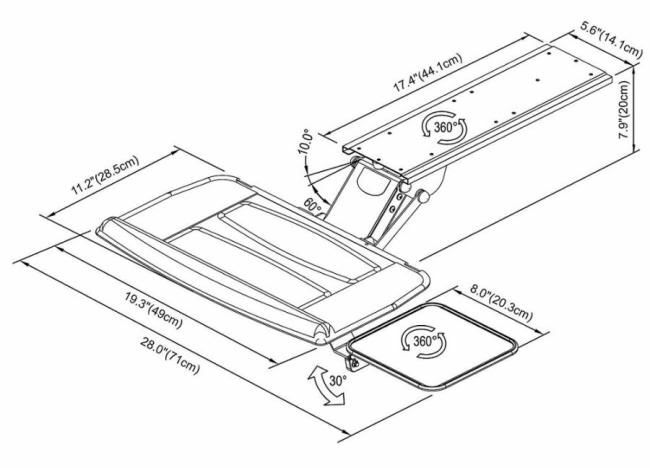 Composed of keyboard tray, mouse tray (right or left hand) and wrist rest. Q: Does the mouse platform move up and down independently of the keyboard platform? A: You may tilt the mouse platform up and down with the range of 30 degrees, independently of the keyboard platform.